Whether you're a car club or just a group of friends, whether you're driving classics or modern classics, the formula is the same: amazing roads, stunning scenery and fine food. This 'rally' remains based at the same property, with 4 organised tours over 5 days. We have lived here for 12 years, are keen drivers and have discovered the very best routes. You will not be disappointed. And you won't be living out of a bag. For each tour you are given a route planner as well as a google maps route. There's a designated mid morning coffee stop, we can book a recommended restaurant with good parking and then it's back to Le Foulon for an aperitif before a dinner discussing the day's adventures. If members of your group fancy a break on any of the days then they are more than welcome to relax by our swimming pool and enjoy a lazy lunch at Le Foulon, or take a walk up the village and experience a slice of Provençal life. Arrive at your leisure, but in time for an evening meal. Sunday is a good start day as it gives you the weekend to drive down here, but we are flexible and will endeavour to accommodate your preferred dates (outside of July and August, when it's too hot to really enjoy the roads anyway). 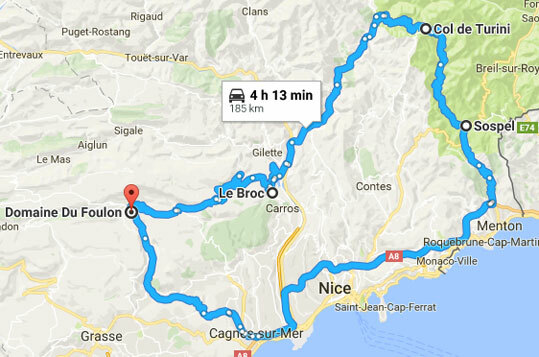 If you're coming from the UK or northern Europe we recommend you use the excellent autoroutes and get near to Grenoble as quick as you can. From here you can enjoy the full length of the Route Napoleon - which is everything it's cracked up to be. Stunning views, fast A road for the most part, and in April it won't be full of caravans. Just be aware of the well marked speed cameras (not too many) and occasional gendarme on the approach to larger towns. The first tour is an easy 113kms with a great lunch option. This gives you a lay-in and a later breakfast, before heading off around 10.30. Just the kind of laid back day you need after the drive down to the South of France. However, just because it's a little shorter on length doesn't make it lacking in anything else. 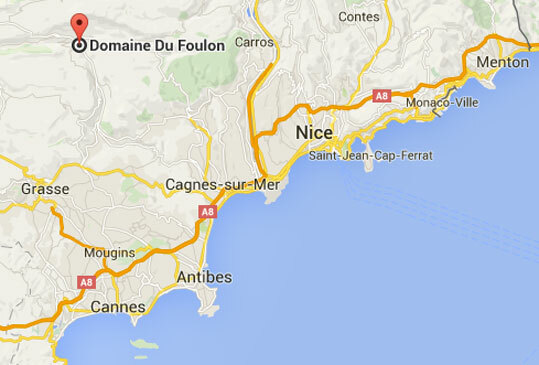 The route takes in a wonderful view of the Cote d'Azur from Nice airport down to the Esterel, before the Col du Ferrier that drops down for a short stint on the route Napoleon. You then ascend the Montagne de Lachens, rooftop of the Var. The parking is at almost 1700m with an amazing view of the coast - perfect photo opportunity. It's then on to lunch (optional, but must be booked in advance) at Chez Cristiana at the base of the tiny ski station of Audibergue - the most southerly ski resort in all the alps. With an easy drive back to Le Foulon you can put your feet up and relax for the rest of the afternoon. Salmon steak wrapped in dry cured ham and served with a fondant potato and zuchini. Col de Bleyne, Gorge de Daluis, Gorges du Cians and Aiglun. 9.30 start. This is quite simply stunning and probably my favourite drive in all Provence. The roads are brilliant, well surfaced, very, very quiet and the views out of this world. The scenery changes from typical Provence to the rocks of the "red Gorge" Dalius, culminating in the ski resort of Valberg at 1500m above sea level and a brilliant wood fired pizza restaurant. 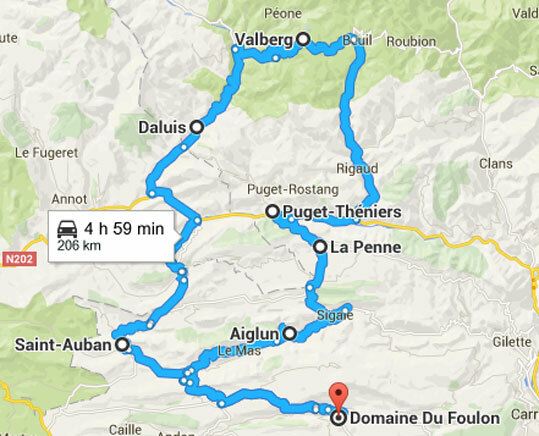 The route back is no less impressive and includes the Gorge de Aiglun, a famous Monte Carlo rally stage. It beggars belief that WRC cars run through this incredibly narrow and precipitous route at full chat, in the ice and snow of winter. Daube de boeuf - ox cheeks slow cooked in a red wine reduction. Day of leisure. Enjoy the pool, take a walk, stretch the legs. Or take advantage of our workshop and 2 post lift if you need any running repairs. Only breakfast is served today, giving you an opportunity to enjoy some local cuisine. There will be an opportunity to eat together in a local restaurant both at lunchtime and in the evening, but it's entirely optional. Please let us know if you would like a restaurant booked for lunch or dinner. Canyon du Verdon, clockwise. 9.30 start for a full day exploring Europe's deepest canyon. The Verdon is a world heritage site and for good reason - a day to ensure the camera is fully charged and we'll indicate on the route planner the best spots to stop and take in the scenery. Supreme de poulet with pesto and spicy aubergine. Col du Turini with lunch at the famous restaurant at the top. 10.00 start. Turini is probably the most famous stage on the Monte Carlo rally and is an endless series of hairpin bends climbing through a pine forest towards Italy. A day to tighten the seat belts, hope the cooling system is up to spec and dream you're Colin McRae as you accelerate between each bend. Confit de canard with ratatouille and roast potatoes. Choose your 6 days anytime outside of July and August when it's too hot to enjoy the roads anyway. We have 13 rooms, some are only doubles, some are twins. We have priced this event at our standard mid-season b&b rates plus €22 per person per evening meal. This is for a set 2 course meal, and any dietary requirements will be catered for (with advance warning). On the rest day you are free to try one of the great local restaurants, which we are happy to arrange for you. 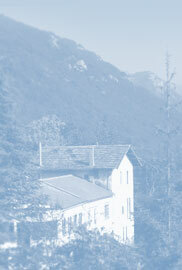 Prices in euros are based on a minimum group booking of 8 rooms/16 people. Price includes breakfast, but not lunch. We will be making scheduled stops for lunch as a group, but everyone will pay individually for whatever they choose. All prices are per person and based on 2 sharing a room. King size double. The Wolf Suite has a double aspect with incredible views south to the Courmettes peak, and West through a metre wide round window on its mezzanine level. Please make sure you get proper European breakdown cover. 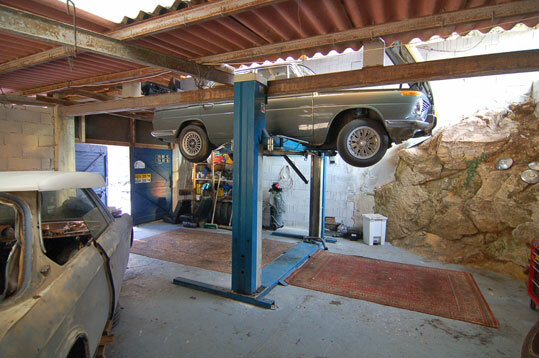 We have a well equipped workshop complete with a 2 post lift. Sign a liability waiver and you are free to use this facility for any running repairs, but we bear no responsibility for the results of your endeavours! To confirm a booking we require a credit card over the phone and a 25 percent deposit. The remaining 75 percent will be required 6 weeks prior to arrival. Cancellations will receive a full repayment only if someone else is able to attend and take your place/payment. Any extra drinks and services whilst here can be paid for on departure.